Initially for the day 4 the free evening was planned. But suddenly the team decided to propose free morning and it was supported by the majority of the group – well – democracy won. 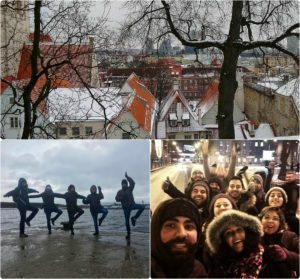 So, the morning was free to discover around the capital of Estonia – Tallinn. Some subgroups went their own ways and some just stayed to sleep and eat – that is why it is called “free morning”, because it is morning and because it is free. 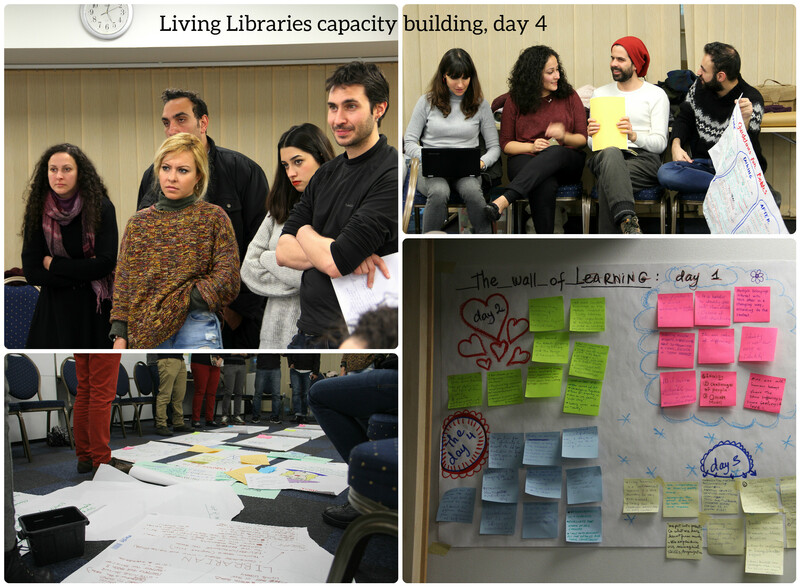 After the lunch it came time to proceed with more structured reflection about the Living Library practice and find learning in the whole process. The process allowed us to share what we think worked and went well in Our Living Library and what can be improved. The list of points helped us to prepare to the following step of evaluations, which was to work on the recommendations for the Books, Readers, Librarians and Organizers of the Living Libraries. The results of those groups may be seen in this blog too – each group published their ideas of recommendations online. The workshop suggested as well to learn how to post in the blog and for some of participants it was the first time in their life to try posting in the blog using WordPress. Nice, isn’t it?! See the blog posts with the recommendations by the participants, see all the posts from the day 23 of February 2017. But it was not the end of the day. The dinner was out of the hotel, but after big part of the group went to have a chat somewhere in the Old Town. I learnt how to design and write at the blog-web. The evaluation of the work of all the groups of Living Library was useful. It was very enriching to take into account all the details about the Living Library and evaluate their importance. I got to know Baltic Sea clear. Structured the roles in the Living Library. How to create a guide/guidelines for the Human Library and what to do to improve it. I learnt the importance of the team working. It was resourceful to reflect about making use of technology to share ideas. The discussion about the guidelines for the Librarians was fruitful. Today we learnt how to make a blog, giving feedback on Living Libraries, how to improve it. And we learnt to prepare the guidelines. During the free time we will have the opportunity to discover the Old Town. Blogging! Technical skills: how to publish in the blog. I learnt how to change the text from caps lock to normal in Word. I learnt to organize time wise the requirements of the Living Library. 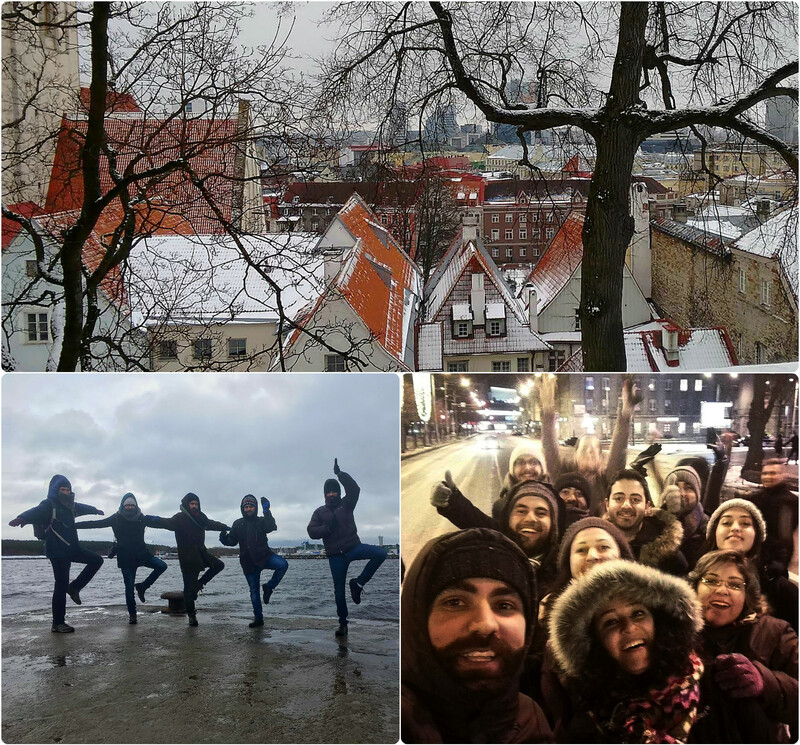 Tallinn is beautiful but cold.